and the deep pink of the stamen. It's amazing how much pleasure a flowering plant can give us, especially when the flower show up unexcpected. Enjoy! Yes, plants and flowers are a great pleasure for people ;)! 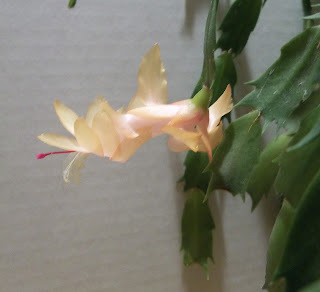 Thank you for the wonderful photo of this Christmas cactus, we call this plant a lidcactus (don't know why), so I can see it up close!